Now that the blockbuster season of summer is in full swing it seems like movies are working their way into our Clizbeats coverage a bit extra these days. To see our case and point all you need to do is look at last week’s short week of coverage. Despite being a 4 dayer that was thrown off by memorial day, we ended up covering either movie soundtracks, or music’s role with movies like 3 times. Actually, 4 if you count Miguel’s “Simplethings”, which is part of the latest soundtrack from HBO’s Girls. To make sense of it all, we figured the best approach was to give you a brief over view on each one. In other movie music news, Seth MacFarlane’s new comedic western, A Million Ways To Die In The West made its debut this weekend. While reception seems to be a bit mixed, all of us at Clizbeats have respected the artistic process he applies to all of his work, and enjoyed discussing how the film’s music came about through collaboration between frequent Disney Film composers Joel McNeely, and Country superstar Alan Jackson. We think it’s a good time, and hopefully you will too. Click here to check it out! Lastly, Epic Records released info related to their Think Like A Man Too soundtrack at the end of last week. The most interesting thing to come out this news is that This time around, Grammy Award-winning R&B icon Mary J. Blige recorded an entire collection of music from and inspired by the film. Two of the film’s standout tracks that Epic is pushing that Mary provides are a remake of Shalamar’s hit “A Night to Remember” and the soundtrack’s lead single “Suitcase.” The rest of the soundtrack includes features from rappers The Dream and Ludacris, as well as fellow crooner John Legend. The soundtrack is out on the 17th. For any other related info click here. Q&A with Australian pop rock band, At Sunset! 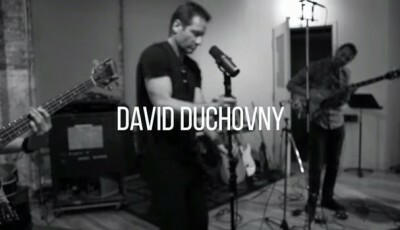 * LISTEN * to a Q&A with DAVID DUCHOVNY – Talks Debut Album Hell or Highwater, The X-Files, Aquarius and More!